2 Beds 1 / 0 Bath 908 Sq. ft. Description: Beautifully updated throughout. 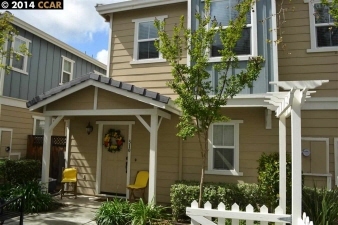 Fabulous kitchen granite custom cabinets,gorgeous bath,cathedral ceilings,central heat/air.Master walk-in closet french doors from master /from living space to patio/views of mt diablo dual pane windows,impressive greenbelt attached private garage. Open sun1 -4.